A little while back, an article on Ron Pattinson's blog about 19th century British investors in German breweries sparked a brief discussion in the comments section about a growing interest among German brewers in Porter and Stout. 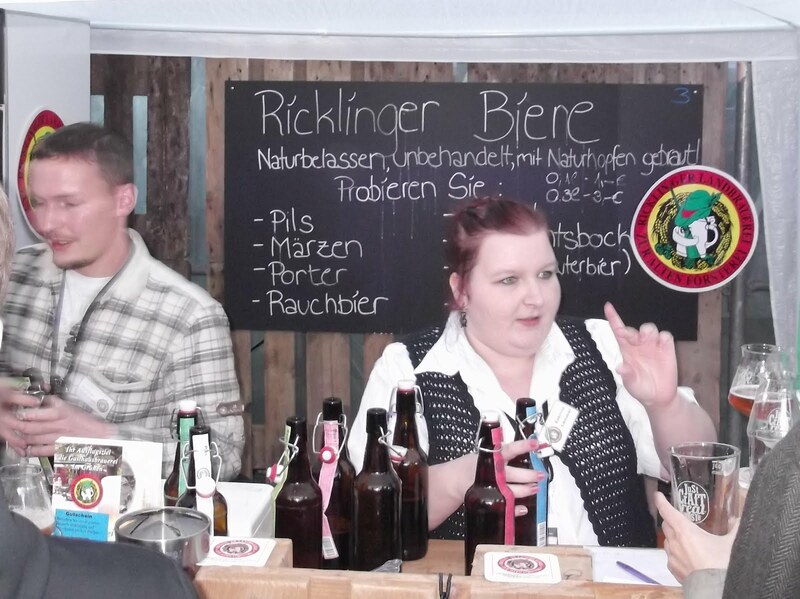 There's not a lot of it made yet and it's tough to find – but it does exist, some of it is rather good, and at Saturday's craft beer festival in Hamburg (of which, more later) I found a few more examples. 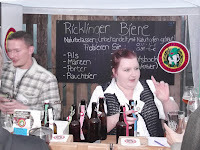 Two were from Ricklinger Landbrauerei, specifically a Stout and a Porter. I can't help feeling they may have misunderstood though – Stout means strong, and in this context is shorthand for Stout Porter, yet their Porter is 7.5% alcohol while their Stout is merely 5%! Both were pretty good – I was expecting the Porter to be a sweet Baltic type, but it was closer to a dry English style, with Doppelbock-like dark fruit and a little bit of smokiness, while the Stout was treacley and bitter, and reminiscent of a Black IPA or Export India Porter. If it were me, I'd rename the Stout as Porter, and the Porter as an Imperial Stout! PS. I'm aware of a few others, eg. Stortebeker has a Baltic-style (ie. sweet) Hanse Porter plus a Stark Bier that's pretty much an Imperial Stout, Bergquell does some well-dodgy fruited Porters, and there's a couple from iconoclastic brewers such as Eric Toft of Schönram. Are there any more that I've missed – and which are worth hunting out?